'The Atheist Delusion,' a movie by evangelist Ray Comfort, is all set to premiere at the Ark Encounter, a life-sized Noah's Ark theme park in southeastern U.S. state of Kentucky. Living Waters Publications declares that thousands of people have already watched the movie, owing to paid pre-release downloads. However, the official release date for the movie at the Ark is set for the 22nd of October. According to a report by Christian News Wire, Comfort explained, "From the start, we were concerned that people wouldn't take seriously a movie that 'destroys atheism with one scientific question.' But it does exactly that by scientifically confirming the existence of God." "Having a respected, scientifically based organization like Answers in Genesis being willing to premiere it is such an honor," he added. The evangelist went on to admit that the movie would not do much to change the mindset of the average Protestant and close minded atheist. "But countless others, tempted to believe the ridiculous lie of atheism, are open-minded, and will be convinced by seeing the irrefutable proof for the existence of God," he claimed. Christian Post reports that earlier this year, Comfort opened up about the movie in an interview with Hemant Mehta, of The Friendly Atheist fame. The movie, he disclosed, seeks to warn people that Hell is a very real place. "I believe with every ounce of my being that Hell is a very real place. I know that is offensive and that it almost always brings scorn with it. It was Penn Jillette who asked how much we would have to hate someone if we believed that Hell was real and didn't warn him," he continued. 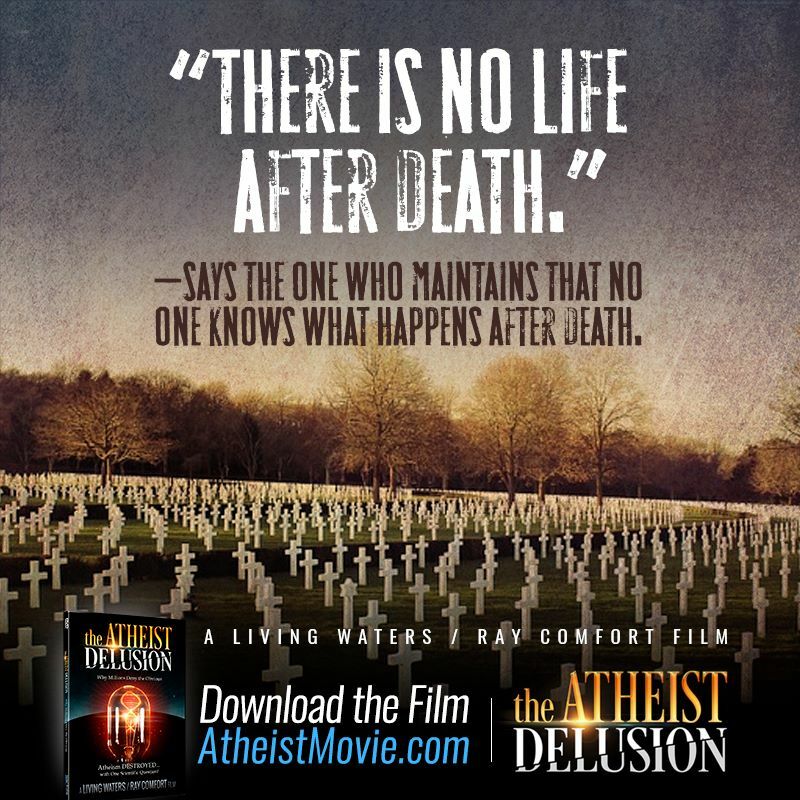 As for the movie, it will be streamed live on the site atheistmovie.com, at 8 PM ET on the premiere date. A YouTube release is on the cards as well. Comfort is hopeful that millions will watch this movie, and find their path. "The world premiere will be highly evangelistic, as well as thoroughly encouraging, equipping, and inspiring to seasoned believers," he affirmed.